Originally launched in June 2002, Marketing magazine is Asia’s leading source of advertising, marketing and media intelligence with editions in Singapore, Hong Kong and Malaysia (Advertising+Marketing Malaysia). Credible, fiercely independent and always first with the big stories, the magazine reaches out to more advertising and marketing professionals in Singapore, Hong Kong and Malaysia than any other magazine. The monthly print edition of Marketing is supported by Marketing Daily, a daily email news service which is emailed every work day to over 60,000 advertising and marketing professionals in Singapore, 52,000 in Hong Kong, 42,000 in Malaysia Advertising + Marketing Daily), 1,600 in Philippines and over 7,000 folks in Indonesia. All stories that appear in Marketing magazine are available online in the archive. To subscribe to your local Marketing Daily newsletter, click here. Marketing offers a wide range of events – from intimate Roundtables to regional Conferences – these events are best described as ‘live’ editions of Marketing magazine. Find out more here. Rezwana Manjur is currently regional editor for Singapore and Southeast Asia. 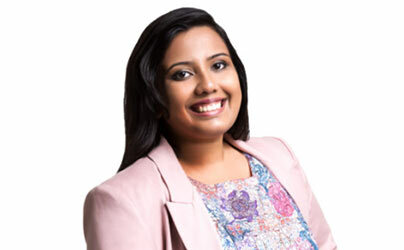 She has been with Marketing Magazine Singapore since 2012 and has worked across both print and online editions. She heads Marketing Magazine’s Singapore and Advertising + Marketing Malaysia’s print and digital editions. Over the years, Rezwana has taken on multiple roles with the magazine and worked across numerous markets. She has also been actively involved in the magazine’s events and conferences, taking on duties hosting and moderating. When not behind her desk covering breaking industry ad industry news, Rezwana is seen travelling the world experiencing a myriad of cultures.